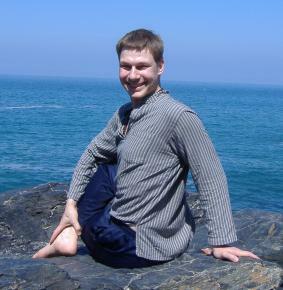 After practicing yoga for several years, Simon completed his yoga teacher's training in India in 2005 with the International Sivananda organisation. This qualification is one of the most popular and well respected yoga teacher training courses in the world and is certified by the Worldwide Yoga Alliance. Simon now teaches yoga classes around Peterborough, Cambridgeshire. You can email Simon at simon@yogawithsimon.co.uk or follow at twitter and facebook to stay up to date with information about classes. Testimonials about Simon's teaching can be found at his testimonials page.